PUBLIC DATA SECURITY POLICIES AT GLOBAL EXHIBIT AND TRAVEL ARRANGEMENTS LTD.
Use of our services bestows us with the responsibility of handling your information. We take this responsibility seriously, and we work hard to protect your personal data and give you full control. The Privacy Policies put in place are designed to illuminate what information we collect, the reasons behind it, and how you can update, manage, export, and delete your data. Global Exhibit and Travel Arrangements ltd. processes, stores, provides, transfers and destroys information containing personal data in accordance with the General Data Protection Regulation (GDPR) Regulation (EU) 2016/679. Once collected, your personal details are stored on our database with strict measures when it comes to who has access. We promise to never share, sale or distribute your data without your consent, unless we’re required to do so by law. As a general rule, only our staff has access to your information, but be advised that we reserve the right to share your information with third parties which are instrumental in providing you with a service. These might include hotels and hotel suppliers among others. GETA ltd, not unlike other companies, relies on cookies to glimpse and analyze all the online behavior of our clients. Session and persistent cookies aid us in seeing how our site performs, how our customers interact with it and where we can improve our online platform. Persistent cookies remain active after you close the browser and come in effect upon your return visit to our website – all to ensure a better user experience. Your personal information serves multiple purposes, which help us in day-to-day operations as well as ensure you’re left satisfied with our service. In short, these are the reasons why we reserve the right to collect your personal information. Communication Reasons: Communication is key in our line of business and the need to be able to reach you is a vital component in performing our work. We also require your information in order to process payment, contact you in case you violate a prior agreement and present you with promotional material with updated services/products, which you can unsubscribe from via email. Technical Reasons: On the technical side, authentication is the sole purpose why we need your personal details, but also it allows us to spot trends, monitors our service and product performance, fix bugs and analyze the behavior of anonymous users. Law Reasons: In some cases, we may be required to provide your information in order to comply with regulations and laws. To give some examples, this may occur in order to prevent crime or respond to court orders and subpoenas. Information collected is best described as personal and impersonal information. The first type is gathered during correspondence and comprises but is not limited to your name or company name, phone number, email address, billing address, or credit card information. These details are vital in our line of work and are mainly used to communication purposes, but also to give you the product you have specified. Precisely for this reason, phone calls and emails are kept in storage to ensure better customer service. 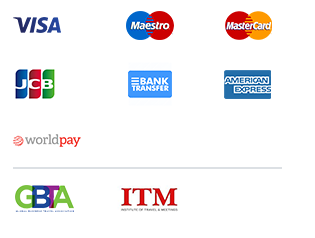 Also, we reserve the right to partner with third party processing merchants to process your payments. The impersonal details are gathered from your server and browser. This is free information as it features browser type, referring site, and the date and time of each visitor's request. This is important statistical data, which aids us in the analysis of how our website performs and how we can raise awareness. Please be secure in the knowledge your information is safely secure in our database. GETA ltd is heavily invested in the confidentiality of your details and their protection against loss, exposure, misuse or alteration. We have several means to combat any unauthorized access that include administrative, physical and electronic measures with an emphasis on SSL data encryption.